New model predicted to be available in 2021. Byton introduced its second EV concept, the K-Byte, at CES Shanghai. 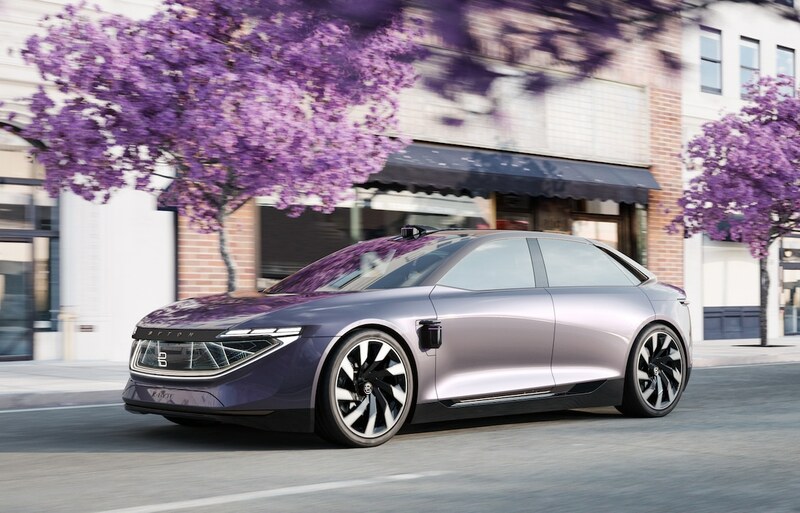 With a newly gained $500 million in its pocket, electric carmaker Byton rolled out the new K-Byte, an autonomous electric vehicle concept, at CES Shanghai. The K-Byte is the company’s second concept. At CES 2018, it debuted its first-ever vehicle, a crossover-style EV that now gets the moniker M-Byte. The new K-Byte would seem to be just another of a slew of newly minted autonomous battery-electric concepts that have been unveiled in the last 12 months, but this one is a little different. Byton officials claim it will be capable of Level 4 autonomy when it hits the road in 2021. In layman’s terms, the K-Byte could could take a person from point A to B without ever requiring that they take or even be ready to take control of the sedan — although Tesla CEO Elon Musk promised yesterday that his vehicles would be capable of Level 5 autonomy by the end of this year. The new K-Byte concept will begin road testing in 2020 and deliveries are expected in 2021. Byton’s self-driving tech will be provided by Aurora Innovation, a company started by the former head of Google’s autonomous car program, Chris Urmson. 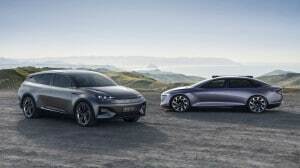 With partnerships with Volkswagen and Hyundai already in place, it would appear that Byton is well positioned to make up a lot of ground fast. The Chinese start-up plans to start testing a fleet of these Aurora-equipped cars by the end of 2020. Its first SUVs, the M-Byte, are only supposed to be Level 3-capable are supposed to on the road by the end of 2019. Byton didn’t detail powertrain details for the K-Byte, but it shares the same platform as the M-Byte concept. 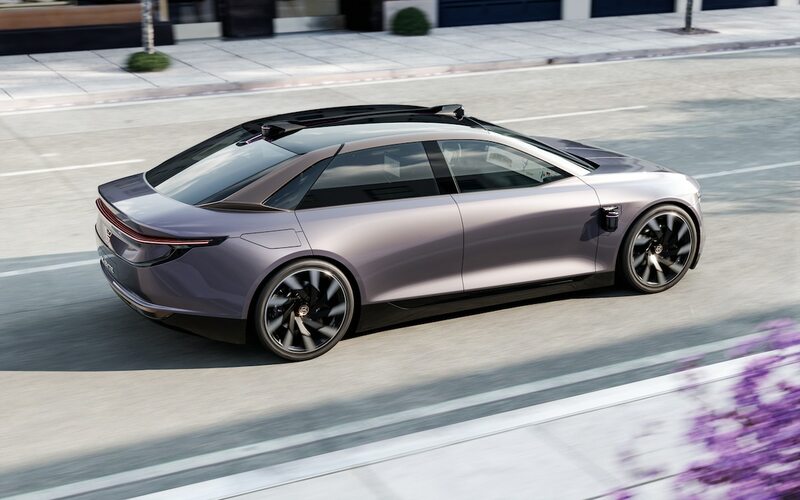 Theoretically, that means the K-Byte could be had in a rear-drive version using a single electric motor providing 268 horsepower and 295 pound-feet of torque, with a 71-kWh battery offering 248.5 miles of range. 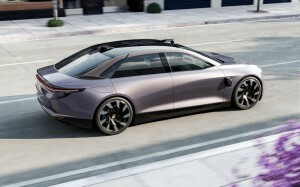 The second option is an all-wheel-drive, dual-motor version will produce 469 horsepower and 523 pound-feet of torque, with a 95-kWh battery good for 323 miles on a single charge. Byton's M-Byte and K-Byte concepts share a platform. The K-Byte, which is expected to begin prototype testing on roads by 2020 with deliveries beginning the following year. No pricing was offered for either. It appears the “Byte” nomenclature is here to stay since it apparently gives it a certain feel, according to Byton officials. “By adopting this naming strategy, Byton celebrates our brand DNA as a next-generation smart device,” said Byton CEO Dr. Carsten Breitfeld. This entry was posted on Friday, June 15th, 2018 at and is filed under Asia Pacific, Automakers, Automobiles, Autonomous Driving, China, Concept Cars, Driverless Vehicles, EVs, Electrified Vehicles, Europe, Markets, NAFTA, South America, Technology, U.S./North America. You can follow any responses to this entry through the RSS 2.0 feed. Both comments and pings are currently closed.